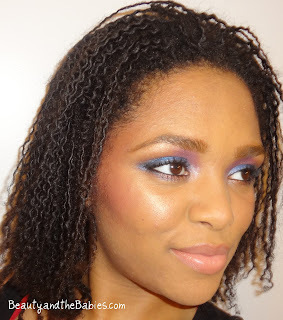 Beauty and the Babies: Hair Diary *19* - Choppp!!! So after I took down my Tree Braids I decided that it was time to let my uneven ends go. I cant stand uneven ends and the fact that my hair does this every few years. For those who may not know I have been battling hormonal hair loss for 9 years now. My hair used to be super, super thick and dense before all of this. The first time I got on birthcontrol I tried the Depo shot. I had a few complications with this so after the first shot I did not go back. 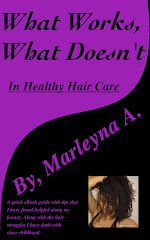 Complications including hairloss. Next I tried The Ring, which I actually loved but I noticed my hair was falling out like crazy. I thought it was because of the relaxer so I went natural. Later I realized it was The Ring. A few years later I tried Mirena which caused a long laundry list of problems for me. The biggest one which was hair loss and cervical dysplaysia. I am going to contribute my recent hair loss to BKT I did twice lase year and also MN which I tried for a month or so last year. When new hair grows in the end of the hair is fine and tapered. My head is actually covered with these new hairs. I call new hairs baby hairs when they first grow in, and that initial grow out stage I like to refer to as baby hair syndrome because the baby hairs can be very difficult to control. After the cut, I have a good 8" of hair, meaning none of my hair is older than a year and 4 months. I chopped a good 3-6" of hair off depending on the section. It was the best thing to do because I was holding on to the length because I felt some type of way about having short hair again. I needed to let go of the hair to let go of the fear and I am really happy I did. Now I can actually wear my natural hair out and not flip out about how silly it looks. More about that in tomorrows post..